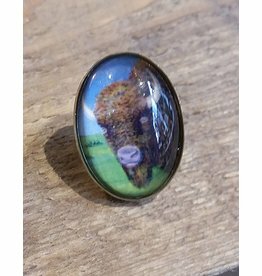 Perfect for any social occasion requiring a giant buffalo ring, this giant buffalo ring is just the thing! 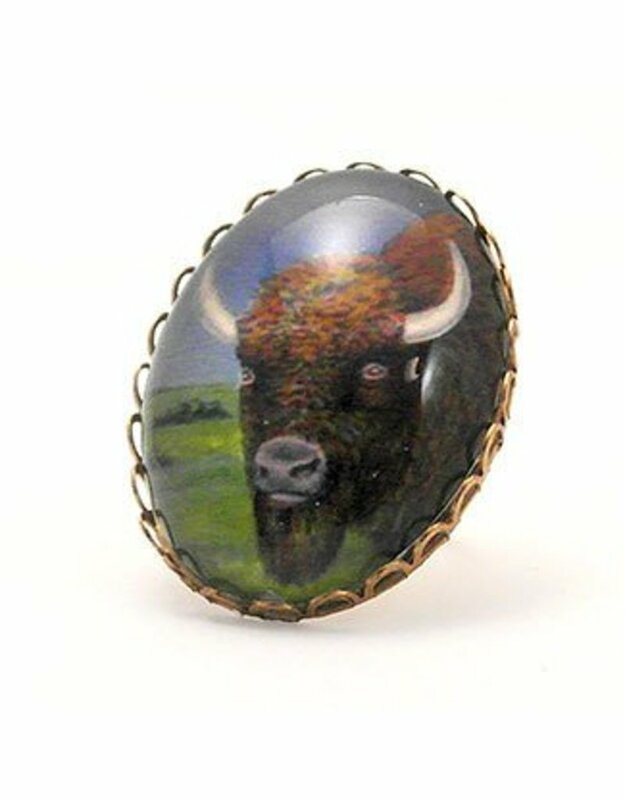 Custom designed for Old Main Emporium, our whimsical buffalo stares out from a clear cabochon. 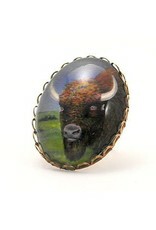 Set in gold-toned metal; adjustable ring on back.